Clearly, there are plenty of alphabet flashcard apps on the App Store. Aimed at juniors ages 1-3, they tend to feature a single object to represent each letter. Most of them use animals, and only a few uses space objects or Bible verses. It’s quite rare to find an alphabet flashcard app that uses many objects per page. Fortunately, I found hip hop hen: abc flashcard songs (the lowercase is deliberate). Besides featuring two or more objects per page, it adds nine consonant digraphs such as ‘th’, ‘ck’ and ‘ch’. It also features 35 fun and catchy songs that will keep your juniors interested. The app starts by showing 26 letters of the alphabet on the main menu. Players can choose to start with any of the letters, or even navigate to the next menu to see the nine consonant digraphs. Selecting a letter will take the players to the individual letter page. Each page contains two or more objects. For example, the H page contains Hip Hop Hen, heart, horse, helicopter, hat, hippo, and hot dog. The stars on the bottom indicates the number of objects that players can find on the page. Tapping on an associated object will trigger the narrator to say the object’s name. It will also show the word on the screen and earn the players a star. Players don’t have to find all the objects to navigate to the next page. The app will reward the players with a star when they are able to find all the objects for that page. Each page also contains two buttons: one for phonics and one for song. Tapping on the phonics button will trigger the narrator to pronounce the letter’s sound. Tapping on the song button will trigger the app to play a fun song associated with that letter. The song is an adaptation from the popular The Wheel on the Bus song, tailored to fit the context of each page. hip hop hen: abc flashcard songs is suitable for juniors ages 2+ who want to learn new vocabularies. Having two or more objects for a letter helps juniors to increase their vocabularies rapidly. 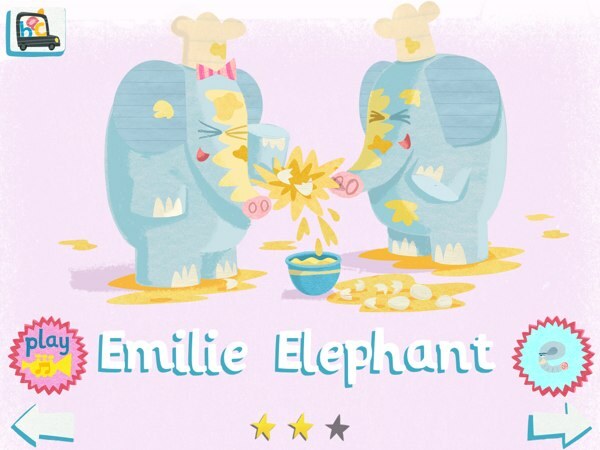 The developers designed this app by following the UK Primary National Strategy for Letters and Sounds. The Phase 3 guide suggests that juniors learn 25 graphemes such as ’ch’, ’sh’, ’th’ and ’ng’. It is important to learn these sounds early because they appear in many frequently used words. The app teaches my two-year-old Noah new vocabularies, such as anteater, beard, and carriage. Playing the app together allows me to ask him to identify individual objects. I’m grateful that the app features consonants such as ’ff’, ’ss’, ’ll’, and ’zz’. It lets him learn new phonic sounds and a few extra vocabularies. Noah loves to sing and dance to any music he listens to. The catchy songs included in this app is perfect for him. He can’t wait to hear the song on each page. My favourite one is, of course, the one with elephants. 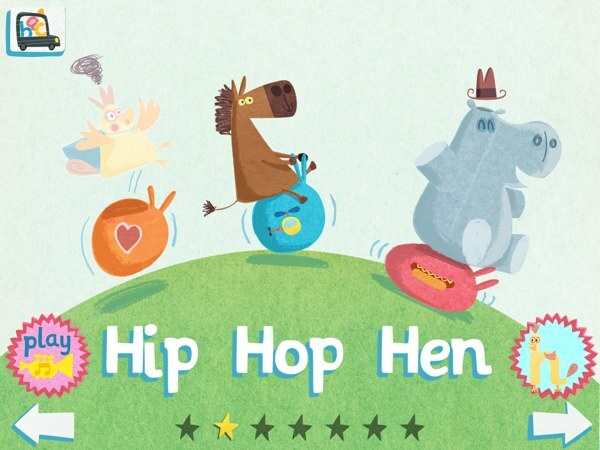 hip hop hen: abc flashcard songs is a fun alphabet flashcard app for juniors ages 2+. It offers nine consonant digraphs, besides the 26 letters of the alphabet. The app also exposes juniors to more vocabularies than most flashcard apps. And, I’m pretty sure your juniors would love the catchy tunes adapted from "The Wheel on the Bus". If you love this app, you should check other Hip Hop Hen apps. The first one is a jigsaw puzzle app, and the second is a letter tracing app. Both are also fun for juniors ages 2+.